Un petit postcard du Paris. 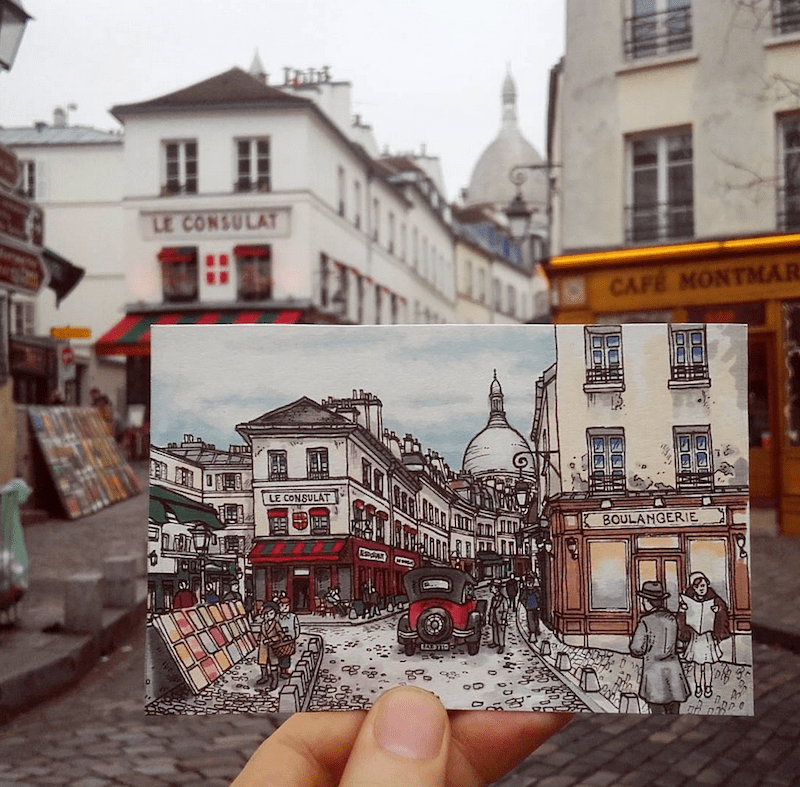 Le Consulat, Rue Norvins, Montmartre. February 2017. An illustrated intersection, practically unchanged for 100 years.